Under the roof of IDEX the products of Upchurch, Rheodyne, Isolation Technologies and Systec are united (concentrated). IDEX Health & Science engineers components that result in innovative and optimized fluidic systems. IDEX design, develop, and manufacture liquid subassemblies and precision components for a wide range of applications requiring precise control and measurement. IDEX is the synthesis of leading component and technology suppliers to the Analytical Instrument, Diagnostics, Biotechnology, and Laboratory markets. VDS optilab offers the complete HPLC and LC accessory product line from IDEX Health & Science. 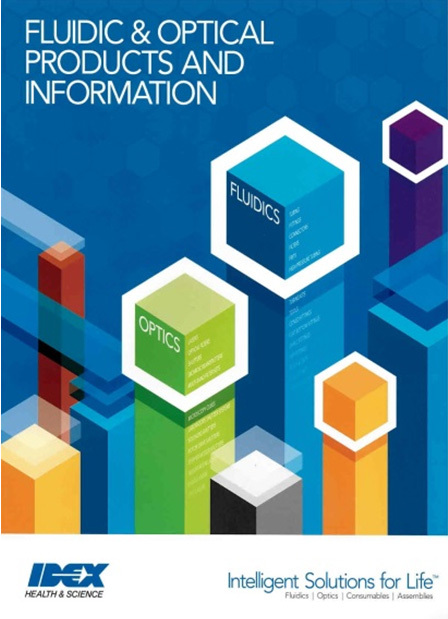 Capillaries, fittings, adapters, valves, tools, hoses, frits, filters, ... you will find everything you need at you HPLC measuring station in the IDEX Fluidic & Optical catalog.